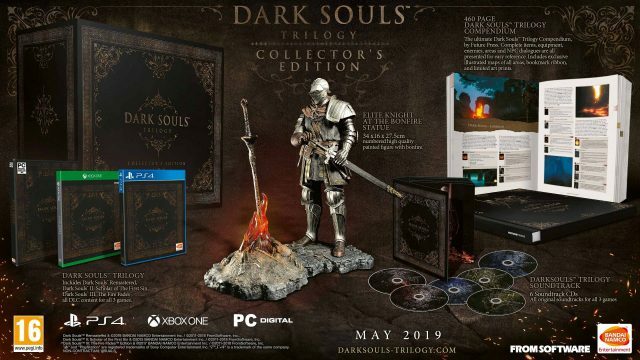 While the Dark Souls Trilogy was confirmed to be coming to Europe on March 1st, a new announcement from Bandai Namco has revealed that a Dark Souls Trilogy: Collectors Edition will be coming to the UK and Europe. The Dark Souls Trilogy Collector’s Edition is available for pre-order and will cost avid fans £449.99. The collection includes all three of the Dark Souls games as well as previously released content in a three-disc collection. The edition also comes with the original soundtrack with music composed by Motoi Sakaraba and Yuka Kitamura, bringing 110 tracks, that’s 6 hours of music across 6 CD’s. There is also a special Elite Knight at the Bonfire Statue which is painted and stands at 34 cm tall. But if you want this collectors edition you will need to act fast as there will only be 2000 of these created. The Dark Souls Trilogy: Collector’s Edition is available for pre-order via the Bandai Namco store website for Xbox One, PS4 and PC. It will launch later this year in May. To read more about this news find it here in Dark Souls Trilogy: Collector’s Edition Will Cost £449/€499.99. The action-RPG side-scroller Lapis x Labyrinth gets a western release date for PS4 and Switch for May this year. Players will join a quest for treasure-hunting for high-octane, where both danger and great rewards await. This unique dungeon crawler will combine 4 of your characters in a “Dango” tower, stacked to face enemies, allowing you to swap between your character classes unique abilities. Choose from 8 character classes and form your party. There are over 4,000 unique combinations to customise your team with, creative stacking mechanics can lead to synchronised attacks. With risk comes great rewards, as you go deeper and deeper into each level, the rewards become greater. The goal is to defeat the foes that await you, destroying the crystals in order to receive your treasure. But, if you stay too long more enemies will ensue, spawning merciless invincible monsters so timing is key. 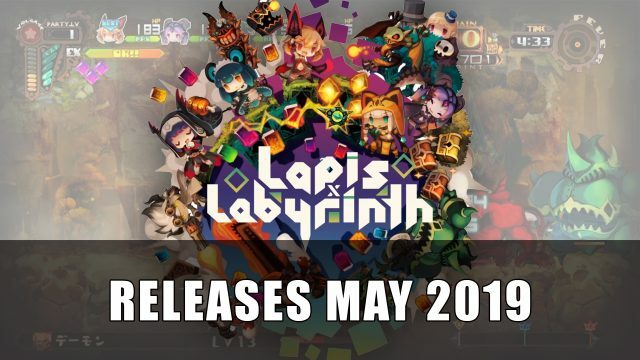 Lapis x Labyrinth releases on PS4 and Nintendo Switch on May 28th in North America and May 31st for Europe. To read more about this news find it here in Lapis X Labyrinth Launches On May 28th In North America, May 31st In Europe. 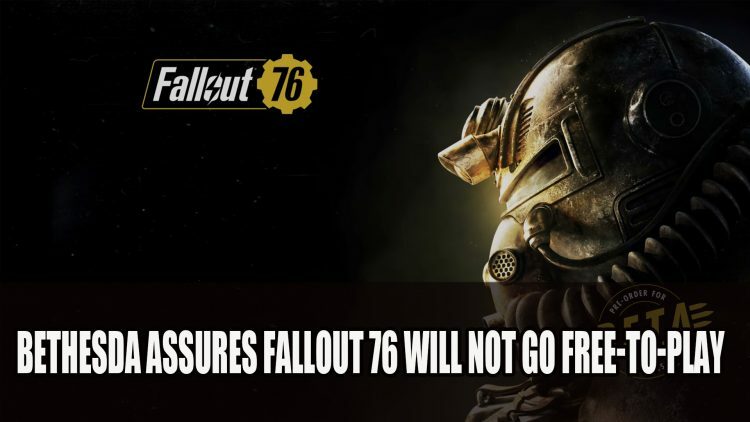 The rumour-mill has been spinning as fans express concerns about Fallout 76 going free-to-play, when a shortage of Fallout 76 copies was brought to light in Australia. Recently a customer who visited their local EB Games to find that Fallout 76 was in short supply, of course alerting the internet to the lack of copies available in Australia. This rumour however turned out to be untrue, a user tweeted out on Twitter that they wanted their money back if Fallout 76 went free-to-play. The response from Bethesda was short and straight to the point “There is no truth to this rumor”. The rumour although seems quite a jump to make from shortage of the game instore, there has been a bit of battle with the recent news of the Replacement Canvas Bags For Fallout 76: Power Armor Edition and the price of in-game items that could leave some fans a little sceptical. To read more about this news find it here in Bethesda Assures Fallout 76 Will Not Go Free-To-Play. In a recent series by gameinformer that has covered the upcoming release of Sekiro: Shadows Die Twice, a prominent question has popped up on the topic of FromSoftware remastering Demon’s Souls. 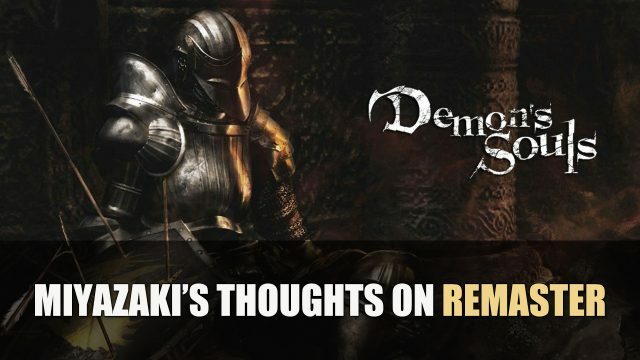 Asking the president of FromSoftware himself Hidetaka Miyazaki whether or not there would be a chance of revisiting the classic and fan favourite Demon’s Souls. It has been a topic that we have covered in the past when the Demon’s Souls Servers closed Down simultaneously which led us to believe a remaster was not a distant possibility. While not ruling out the possibility of a remaster entirely, Miyazaki shares it’s not exactly in his focus at this time. He went on to explain that it’s not just his say so that would determine whether a project like this would go ahead, as Sony would also be a deciding factor. However he is not opposed to the idea of getting another studio to work on a remaster either, but it would have to be one that would not only want to do it, but be passionate about the original as well. From what Miyazaki has expressed it looks like this is not one of the possible titles that FromSoftware has been working on. So if this rules out a remaster, what could the two projects hold? To read more about this news find it here in Miyazaki Shares Thoughts On Highly Requested Demon’s Souls Remaster. 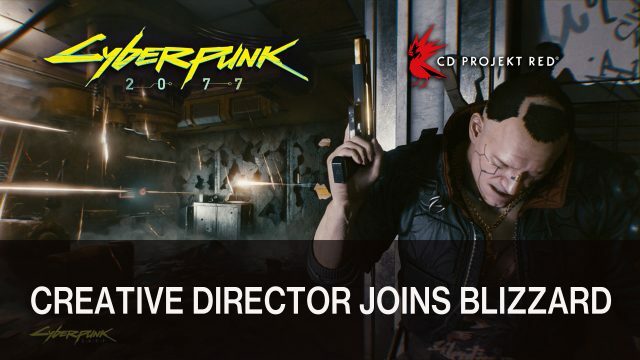 In a surprising turn of events, according to Cyberpunk 2077’s Creative Director’s LinkedIn profile, Sebastian Stępień is now working with Blizzard Entertainment. This news is a little surprising considering that the current game in development is the futuristic RPG Cyberpunk 2077 which is still awaiting a release date. Sebastian Stępień has worked with CD Projekt Red for over 12 years, previously working on The Witcher 3 as well as The Witcher 2: Assassins of Kings. While it isn’t clear what he is working on with Blizzard, he still holds the same position as Creative Director. In a post on the message board ResetEra, a user posted Stępień’s LinkedIn profile that now says he has joined Blizzard working on an unnamed project. If you look at Blizzard’s current portfolio of games, where Stępień would fit in best, it would most likely be on a Diablo project possibly Diablo 4, as the developer had mentioned last year that multiple projects were in the works and more to be revealed in 2019. Blizzard at this time has not announced what Stępień would be working on. To read more about this news find it here in Cyberpunk 2077’S Creative Director Has Started Working With Blizzard. Bioware have announced that their upcoming sci-fi action-RPG Anthem has officially gone gold. The lead cinematic animator Tal Peleg shared a short but affirmative tweet that simply reads “GOLD” with a picture of Anthem in a golden hue. This indicates that the upcoming action third person RPG from Bioware has wrapped up it’s development and is ready to ship out on launch day. Going gold is an industry standard that means the developers have finished their game, the final master copy has been made and is ready to be produced for retail. This is great news as it means fans can expect for the game to release on time. It was early this month that EA and Bioware announced the demo dates for Anthem. Also Lead Producer Micheal Gamble has announced the arrival of Social Hubs, meaning up to 16 players can hang out at the Launch Bay. Anthem comes to PC, Playstation 4 and Xbox One on February 22nd, pre-orders are available via Amazon. 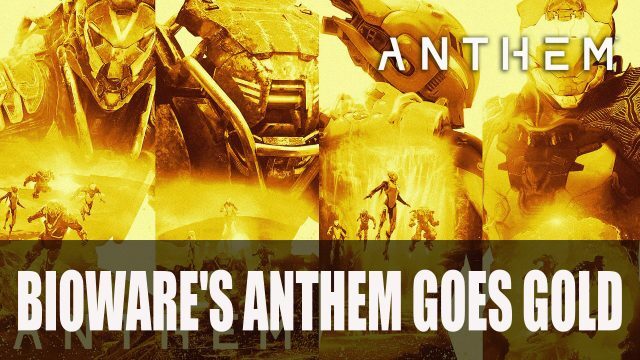 To read more about this news find it here in Bioware’s Anthem Goes Gold. 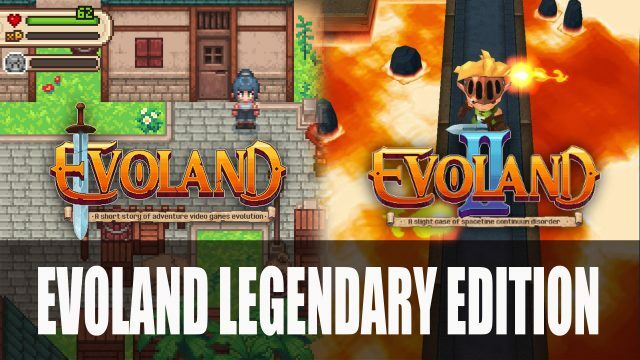 To read more about this news find it here in Evoland 1 And 2 Comes To PS4, Xbox One And Switch In February. Deck13 and Radical Fish Games announced that the 2D fast paced part-puzzle part shoot ’em up CrossCode is coming to the Switch this year. The title is a unique spin on the action-RPG that not only combines a MMORPG world setting in a single-player game, but brings fast action gameplay with some adventure and exploration. If you’ve ever wanted to experience an MMORPG but in a single-player RPG game we would recommend trying this one out. If you want to know what we thought of the action-RPG CrossCode be sure to read our CrossCode Review – A Fast Paced Sci-Fi Puzzle RPG on Fextralife.com. 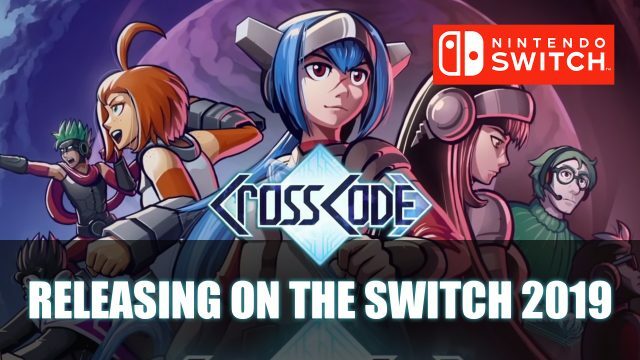 CrossCode will be available on the Nintendo Switch sometime this year, no news as of yet of the release window. To read more about this news find it here in CrossCode Is Coming To Switch In 2019. There is also a character customisation video that as posted on Twitter that showed some of the possibilities for your own God Eater character. 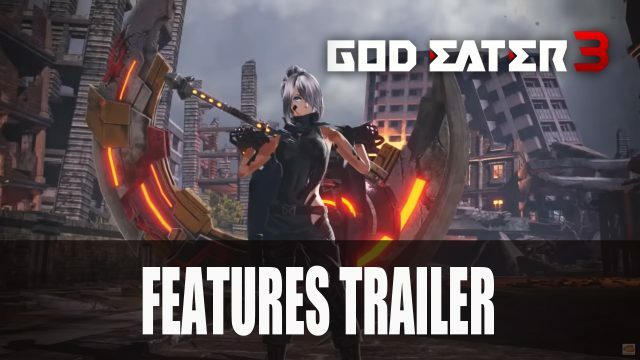 To read more about this news find it here in Bandai Namco Releases God Eater 3 Features Trailer. Not necessary to have a mention of DeS for this. Sorry. I enjoy your constant coverage of games. Lineage Classic in EU and NA regions is going to get a huge content update in February (at least confirmed for EU Skelth). maybe it’s the right time to renew my subscription for EU, do you know any details about that update?